The 2018 Missouri High School Mock Trial Competition State Champion is Kirkwood High School from the St. Louis Region. 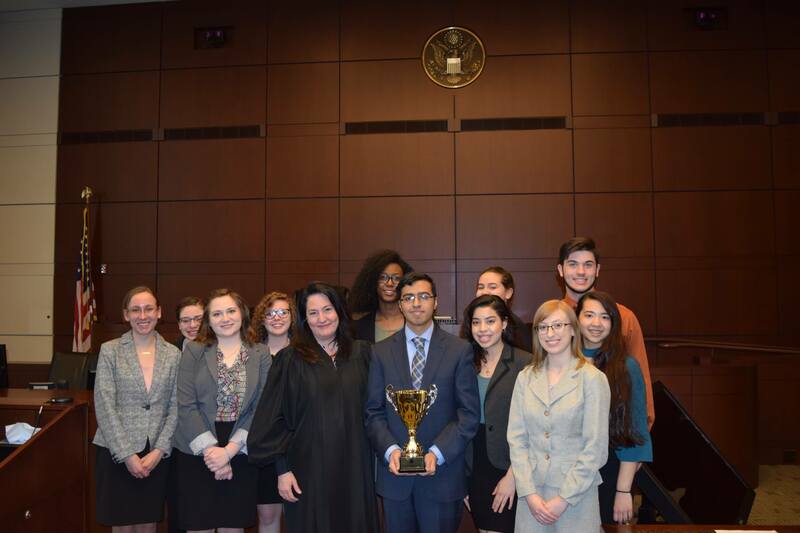 Truman High School from the Kansas City Region took second place in the State Championship of the 2018 Missouri High School Mock Trial Competition. The 2017 Missouri High School Mock Trial Competition State Champion is Truman High School from the Kansas City Region. 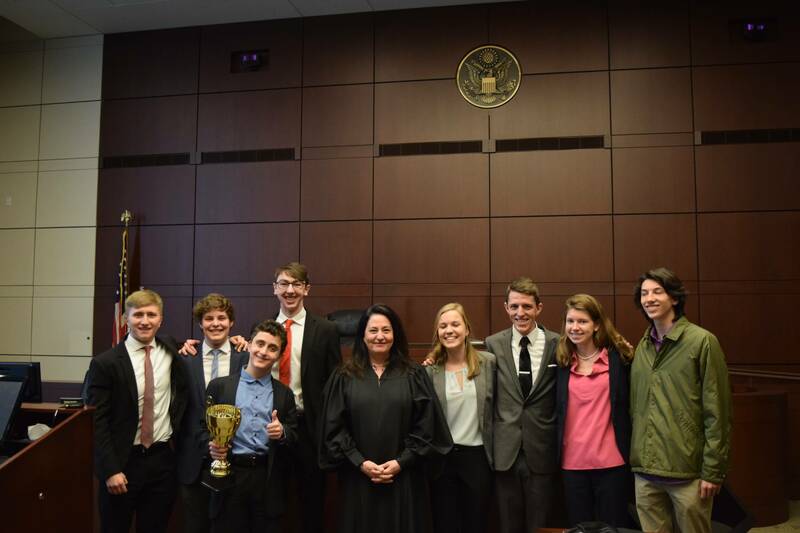 Cor Jesu Academy, which took second place in the State Championship of the 2017 Missouri High School Mock Trial Competition, is from the Saint Louis Region. 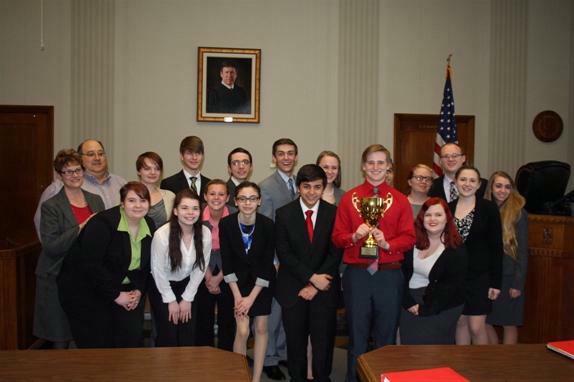 The 2016 Missouri High School Mock Trial Competition State Champion is Truman High School from the Kansas City Region. Rockhurst High School, which took second place in the 2016 Missouri High School Mock Trial State Competition, is also from the Kansas City Region. 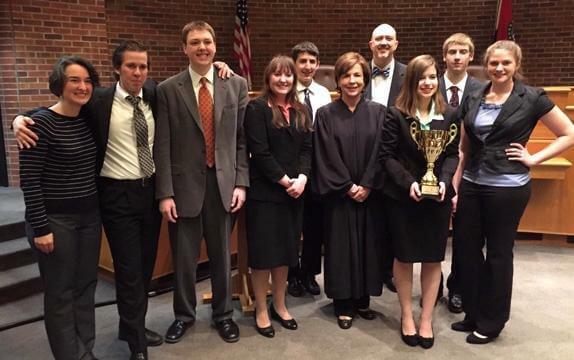 The 2015 Missouri Mock Trial Competition State Champions: Archdiocesan Roman Catholic Homeschool (Arch Co-op). Left to right in photo are Kim Mathis, Steven Oliver, Curt Wichmer, Rebecca Stolarski, Mark Stolarski, Hon. Mary Rhodes Russell, Chief Justice of the Missouri Supreme Court; Tim Wichmer, Mary Fletcher, Paul Battis and Rebekah Side. 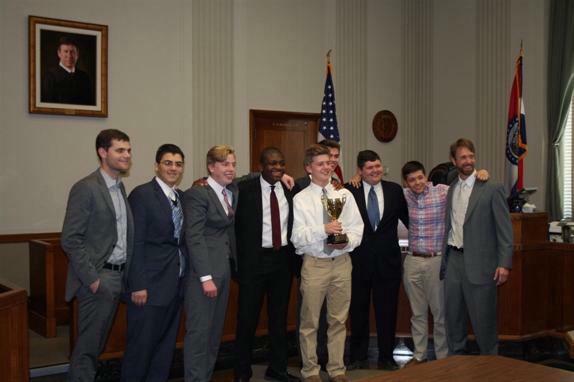 The Kirkwood High School team, who took second place in the 2015 Missouri State High School Mock Trial Competition, held in Columbia, Mo. at the University of Missouri-Columbia School of Law.